My name is Todor, 30 years old from Plovdiv. I don’t have any sports history but I have always loved to do sports. The first time I let myself gain weight was when I was a student at university. Then I lost it too quickly by starving. At that point, I decided to contact a professional to advise me about nutrition and training. I had achieved good results when a very unpleasant health problem deprived me from the ability to train – I underwent 5 surgeries, which completely demotivated me. Respectively, I totally lost it and started eating sweets and drinking Coke, without any limitations. Fortunately, my health issues passed and when I weighed 97 kg., I decided to take measures and go back to a healthy lifestyle. 2. How did you decide to contact me and why? I used the services of two of the coaches in Bodyconstructor several years ago – Daniel Slavov and Bogomil Yordanov. I got very useful advice from both of them but I read the articles of Kiril Tanev. I found him very close to my understanding in terms of style, basic principles and methodology of his work. I was also impressed that Kiril advertised his nutrition as a more free choice – for example something from the warm buffet of the supermarkets. I am not fond of strict diets and statements that if you follow the plan 100% – the results will be 100% but if I follow it 85%, the results will be 30%. Despite my beliefs, I was motivated enough to follow the nutrition and training plan prepared by Kiril at more than 90% most of the time. 3. 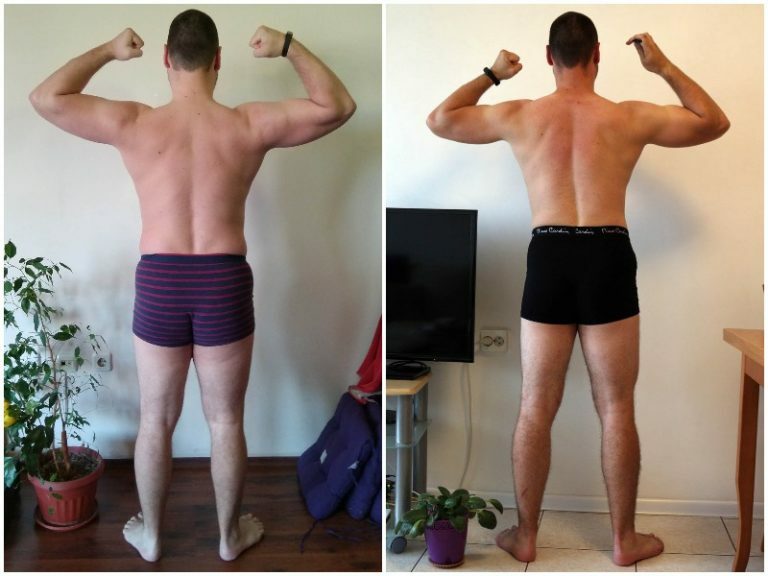 How did proper nutrition and training change your life? The training plan wasn’t something new for me. I liked the diet mainly because my craving for sweets disappeared, which was the biggest success for me. I used to think that I am addicted to sugar but it turned out this was not true. I just didn’t eat enough. The diet gave me a new favourite meal – grilled beef with rice and vegetables. I even prefer it over chocolateJ. 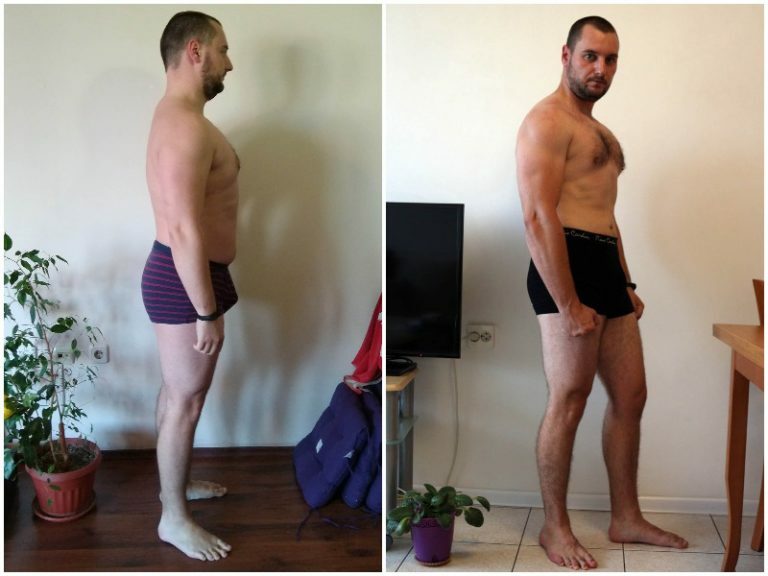 For 16 weeks I lost around 17-18 kg of which according to my estimation 80% fat. I have built additional muscle mass in some body parts and as a whole I significantly improved my physique. One of the reasons why I wanted to get my good shape back was my desire to start running again and I am happy that now I am able to do general training and distance running. Of course, 18 kg less mean much more energy and lightness. 4. What was the biggest challenge for you and how did you overcome it? The biggest challenge was to start with the nutrition and training plan. Secondly, to learn how to cook. For both things, I am very grateful to an incredible woman, who was beside me all the time, supporting me. Without her, I wouldn’t be able to manage with most of the challenges in the kitchen, which would probably lead to substitution of the otherwise easy and delicious meals with ready-made food. Now is the moment to thank her sincerely! 5. What were your expectations from my work and did I manage to meet them? I never expected miracles from anyone. 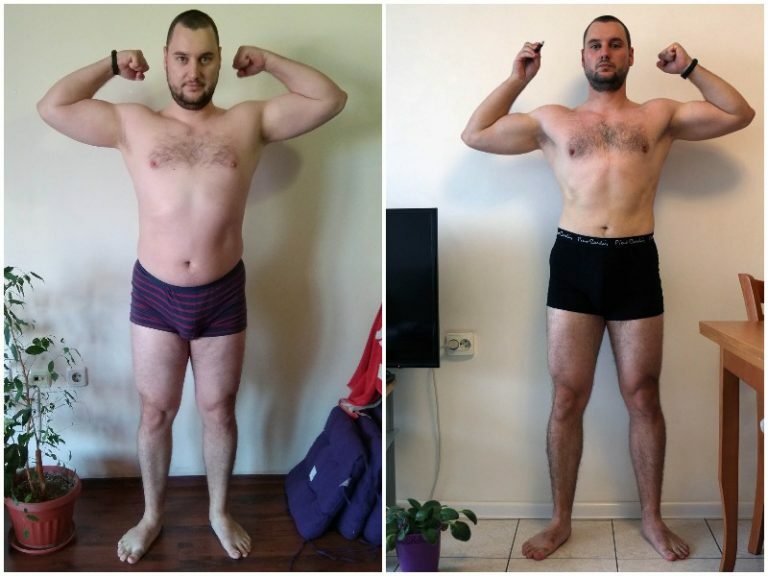 I was aware that the work of the online coach could not be effective if I wasnt dedicated and didn’t put this goal as a priority. So, I have nothing to complain about. Probably the answers to my emails took more than I had expected but I didn’t have an unanswered email so everything was ok.
6. What advice would you give to everyone who needs the courage to make the first step? 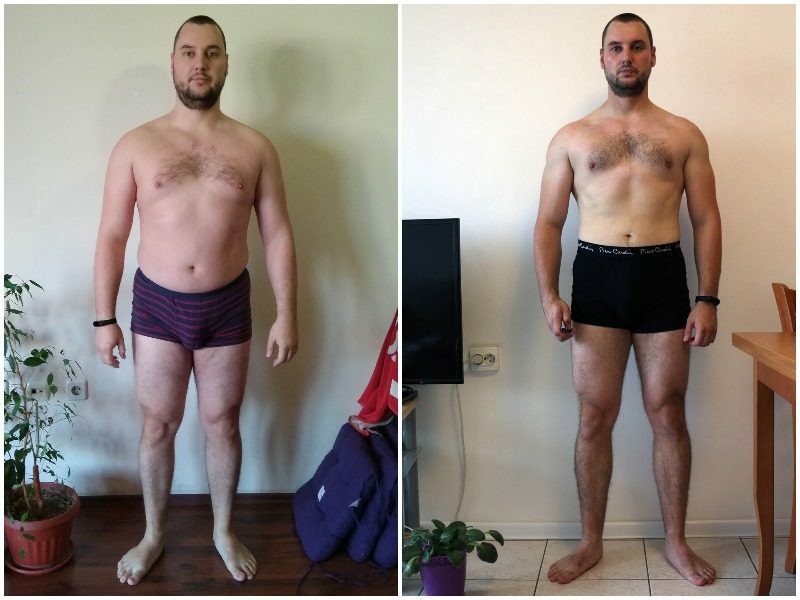 To everyone who are still hesitating to start I would suggest to think about what they would look like if they had started 3-4 months ago. What would the results be if they had started a year ago? The more you postpone such a decision, the more you delay the positive change in your health, self-confidence and lifestyle. This is what I tell my friends – “If you don’t start now, in 3 months you will regret it”. 7. Did you have any difficulties with the training plan as you received it online and the exercises were not shown to you? How did you deal with this problem? I had some experience in the gym and the exercises weren’t new to me. I knew very well how to do them and how to assess my abilities in order to avoid injuries. Fortunately, I never had any problems and I continue training and experimenting with different exercises.